Are you in on the secret? Viscount Wines and Liquor in Wappingers Falls, New York is! Viscount Wine and Liquor is THE place to get Pristine Vodka in Wappingers Falls, NY, and the surrounding area. If you’ve never been to this gentle giant of a shop, put it on your list of stops next time you’re in the Hudson Valley. We are a locally-owned family business celebrating over 40 years of providing fine wine and spirits to the Hudson Valley and beyond. We have been recognized nationally as one of America’s best wine and liquor stores and have received “Market Watch”‘s prestigious Community Service Award for having raised and donated millions of dollars to our local community. Yes, we are, by far, the largest wine and liquor store in the Hudson Valley (40,000 sq. ft.) with, by far, the largest selection (over 12,000 items). But, with a wine staff that has over 125 years of combined experience, we pride ourselves on providing the finest, most knowledgeable service for wine selection, food pairing, and party planning. It’s hard to find a store as vast and yet as unimposing as Viscount. The selection of fine wines and spirits is peerless. It’s hard to imagine walking into this shop and not leaving with at least a half dozen great finds. Unlike other stores of its size, Viscount Wine and Liquor lacks intimidation. The staff at Viscount are all incredibly friendly and knowledgeable. They’re happy to help you pick the perfect bottle, or let you shop in peace. They offer frequent tastings, and you’ll not be hard-pressed to find Pristine Vodka available to taste either! If you live North of Wappingers Falls: Take Route 9 South, past the Poughkeepsie Galleria and BJ’s. We are approximately 1/2 mile south of the intersection of Route 9 and Old Hopewell Road (County Route 28 and 7Eleven) on the southbound side of Route 9. If you live South of Wappingers Falls: We are approximately 4 miles north of Interstate-84. Take Route 9 North past ShopRite, Plant Depot, and Hudson Valley Volvo/Volkswagon. We are on the southbound side of Route 9, so you will need to continue past Viscount and either do a u-turn or continue on to the light at Adams where you can also do a u-turn. From points East and West: Take Interstate-84 to Exit 13. Follow directions from the South. When there, don’t forget to ask for Pristine Vodka! Pristine Vodka is an up-and-coming premium vodka brand that is taking New York by storm. From the exciting commotion of Manhattan to the peaceful tranquility of the Catskills, discerning drinkers are discovering that Pristine has it all. The great thing about Wappingers Falls is that it is the very best of both worlds. 90 minutes north of Manhattan, Wappingers Falls is just a hop, skip, and a jump from one of the most exciting and cosmopolitan cities on earth. But it’s also in the beautiful, natural environment of New York State’s Hudson Valley– an area known for it’s lush forests, charming towns, and growing farm-to-table industry. Restaurants, farmers markets, shops, wineries, and many outdoor amusements pepper the region. This combination of class and natural beauty fits Pristine Vodka like a kidskin glove. Smooth, classy, with a taste of something elegant. And yet, also abundant in natural wonders. Perhaps it’s that the fertile lands, clear waters, and rolling mountains remind us just a little bit of home. A taste of Ukraine in the heart of the Hudson Valley. Walkway Over the Hudson State Historic Park, Poughkeepsie, NY. This linear park was once a train bridge over the Hudson River connecting Poughkeepsie and Highland, NY. It stretches for 1.28 miles and sits 212 feet above the river. As you can imagine, it has a KILLER view. You could easily make a day out of this reasonable walk by packing a picnic lunch, or stopping on either end of your journey for a meal, a drink, some shopping, or any combination of the above. The park itself occasionally offers events and activities, so a quick check of their website before you plan to go is a good idea. Just be sure to pack your sunscreen! MeadowBrook Farm and Market, Wappingers Falls, NY. 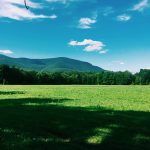 No trip to the Hudson Valley is complete without a visit to an apple orchard, and MeadowBrook Farm has the quintessential New York apple picking adventure you didn’t know you needed. But you do, oh, you do. The farm market offers a great selection of locally grown produce, fresh salsa, local honey, and other treats you’ll enjoy– including Apple Cider Donuts. Yum. You can also pet a goat or two. Storm King Art Center, Cornwall, NY. Bet you didn’t know there was a modern sculpture museum built into the landscape along Interstate 87. The Storm King Art Center is widely celebrated as one of the world’s best sculpture parks. It would be easy to lose an afternoon just wandering around the property. In addition to sculpture, the Art Center is home to a dramatic landscape that includes trees, native grasses, wetlands, ponds, and fields. Hours vary throughout the year, so check their website before you go. Hyde Park, NY. The town of Hyde Park includes Springwood, the birthplace, home, and final resting place of Franklin Delano Roosevelt, 32nd president of the United States. After you tour the house, check out other related sites nearby: the FDR Presidential Library and Museum, the Vanderbilt Mansion Historic Site, and Val-Kill Cottage (Eleanor Roosevelt National Historic Site). There is a host of history as well as beautiful gardens, trails, and demonstrations. There’s something for everyone in Hyde Park. A full day is highly recommended. Union Church of Pocantico Hills, NY. A quaint, unassuming, country church on the outside. Stained-glass masterpieces on the inside. Commisioned by the Rockefellers, the building itself is pleasing to the eye. The show-stopper is the Rose Window– the last work of art created by Henri Matisse. Nine additional stained glass windows, created by Marc Chagall, adorn the walls. The contrast of the sharp and simple interior with the flourish of colors and light work a sort of magic. It is the perfect union of art and history. Whatever excitement awaits you on your journey, don’t forget Pristine Vodka!